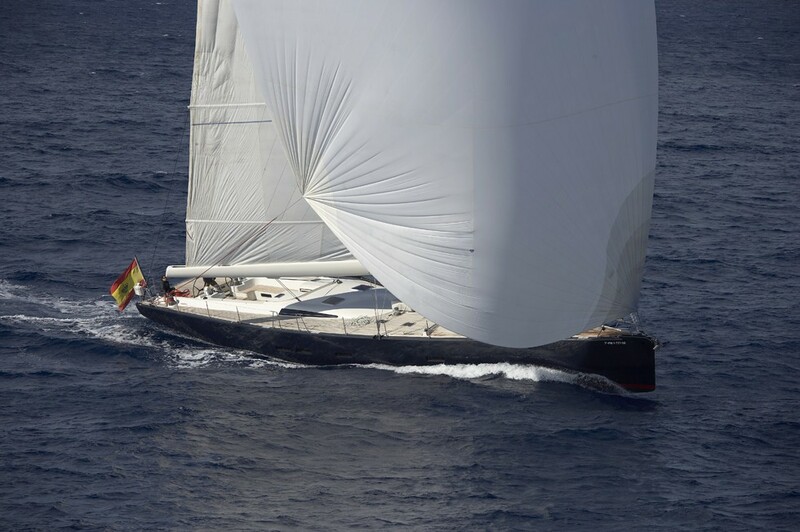 Sailing Yacht SEJAA (ex ATALANTA) is a JFA 82 ft superyacht as deisgned by Judel & Vrolijk and with interior design by Barracuda Yacht Design. 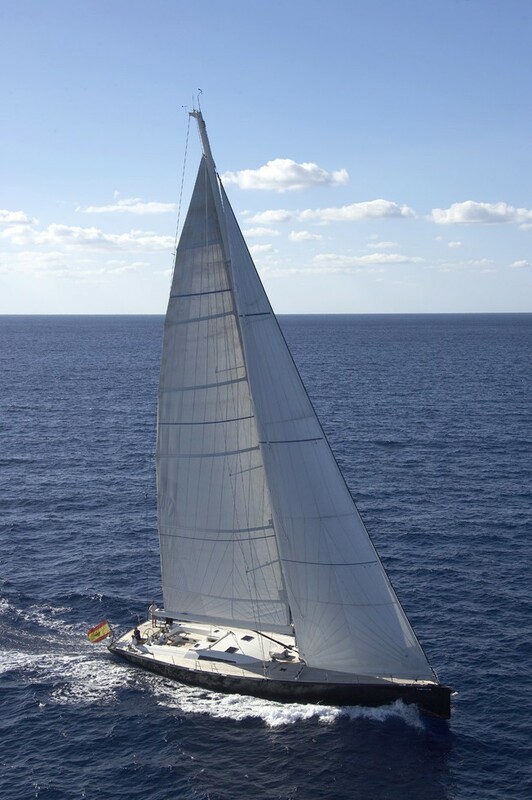 Sailing Yacht SEJAA was launched in 2002, refitted in 2012 and is now available for yacht charters in Spain, France, Italy and throughout the West Mediterranean in the summer and in the Caribbean during the Winter. 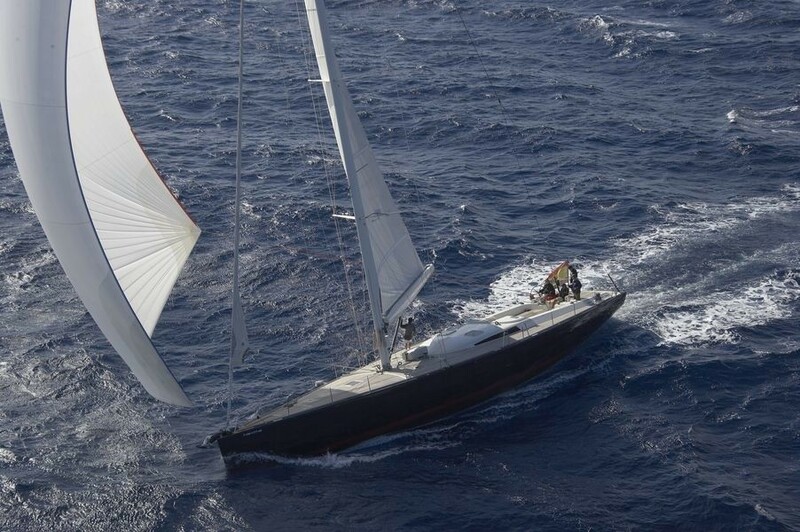 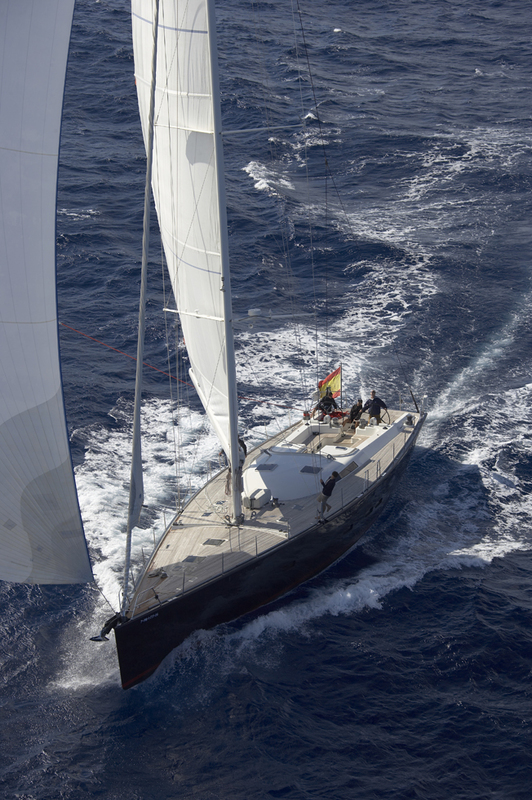 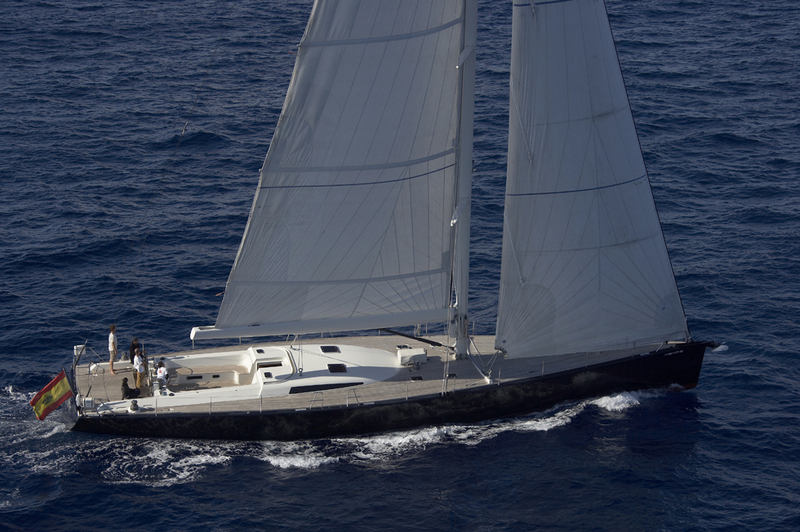 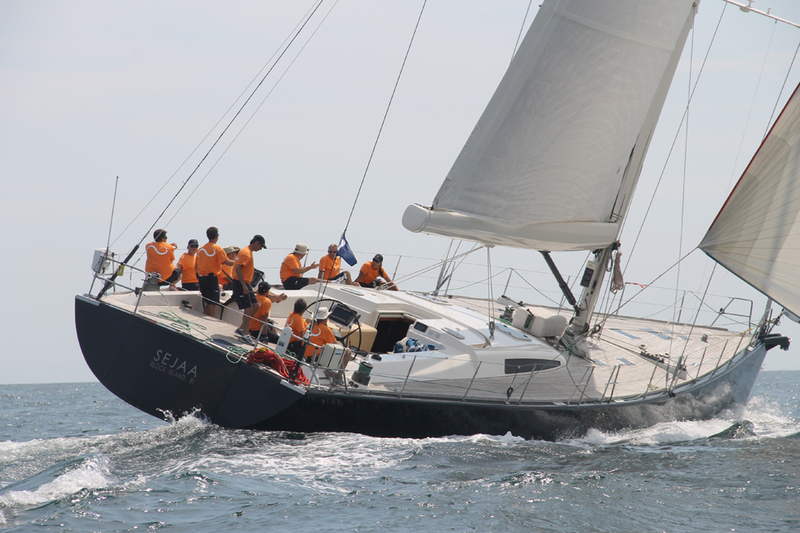 S/Y SEJAA is a performance sailing yacht with an aluminium hull and carbon mast. 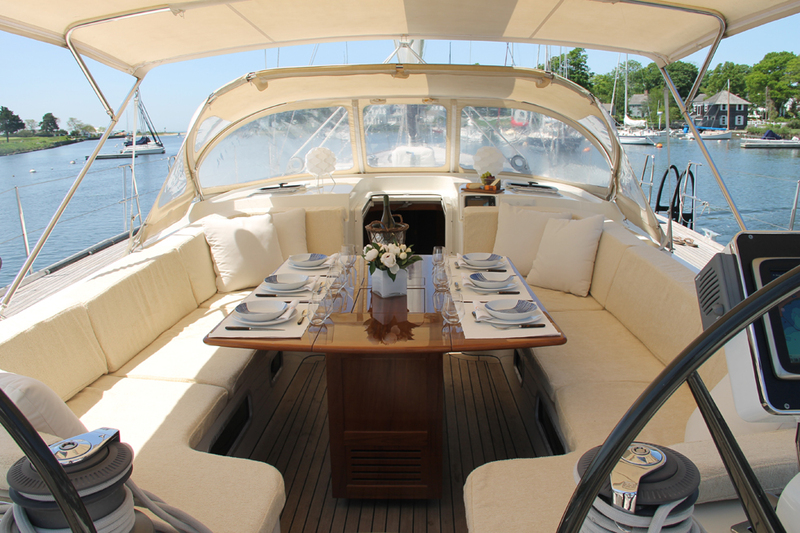 Her design combines elegance and power with clean flush lines and minimalistic features on deck and below. 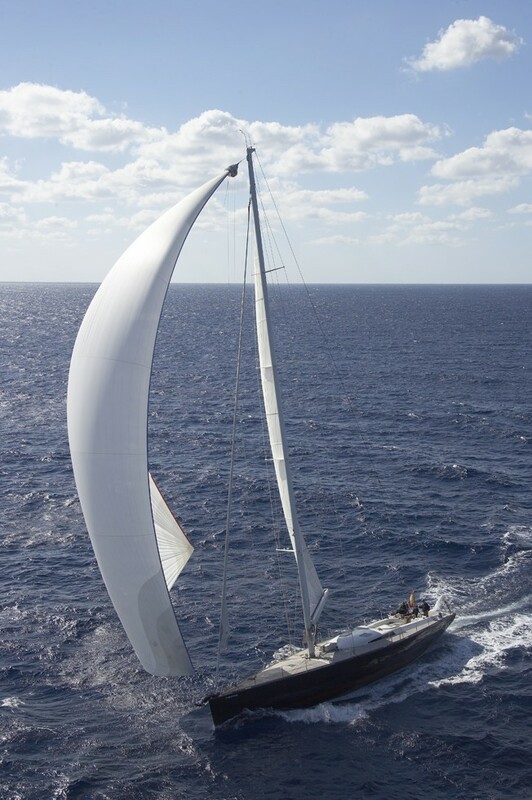 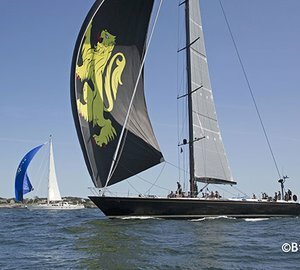 The simple silhouette for this Sailing Yacht is comparable with other modern sailing designs such as Wally in their minimalistic features. 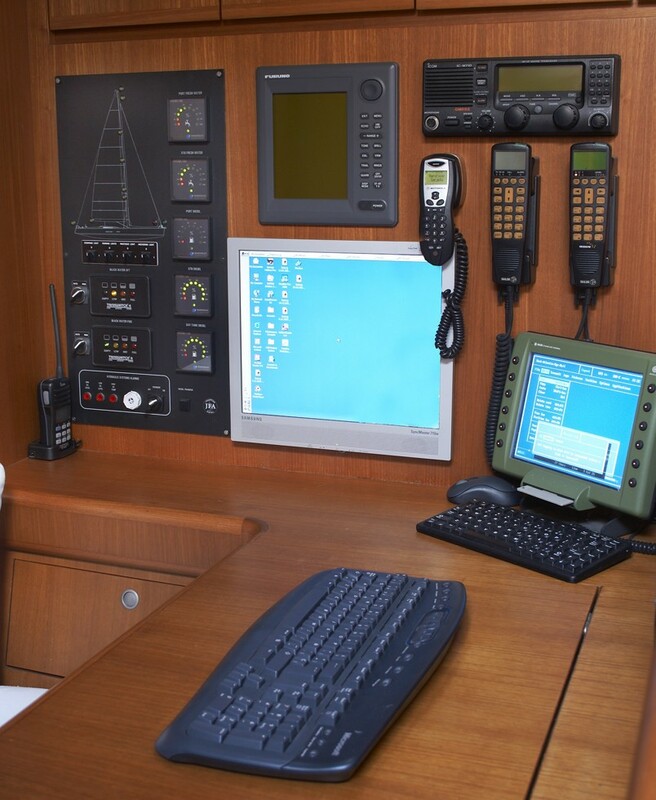 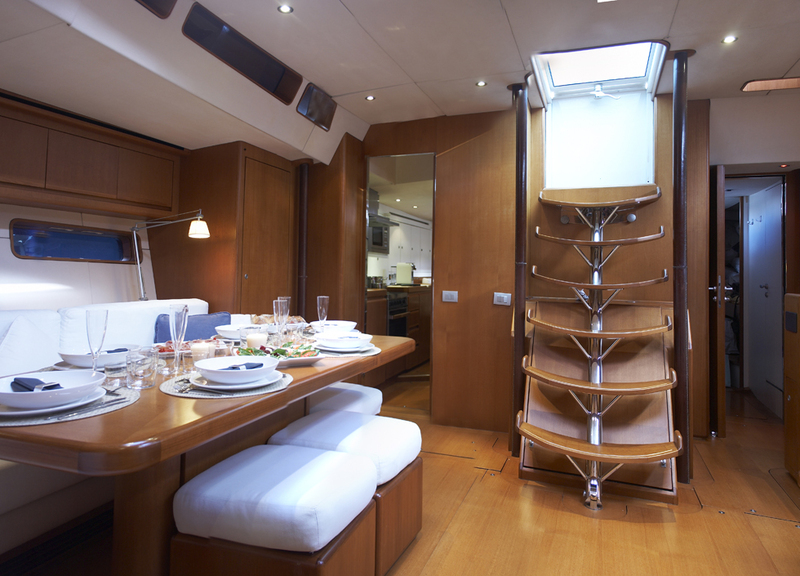 The SEJAA sailing yacht has a wide open cockpit and dual steering stations for maximum access and visibility. 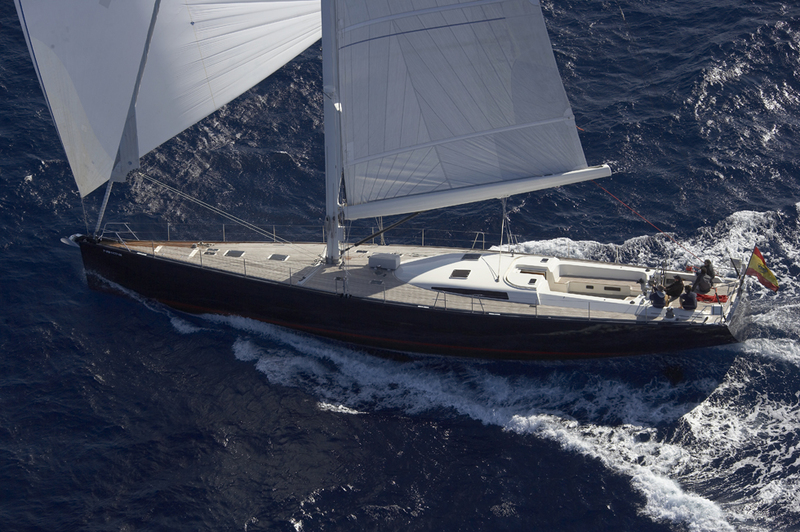 Down below the clean lines of charter yacht SEJAA (ex ATALANTA) continue. 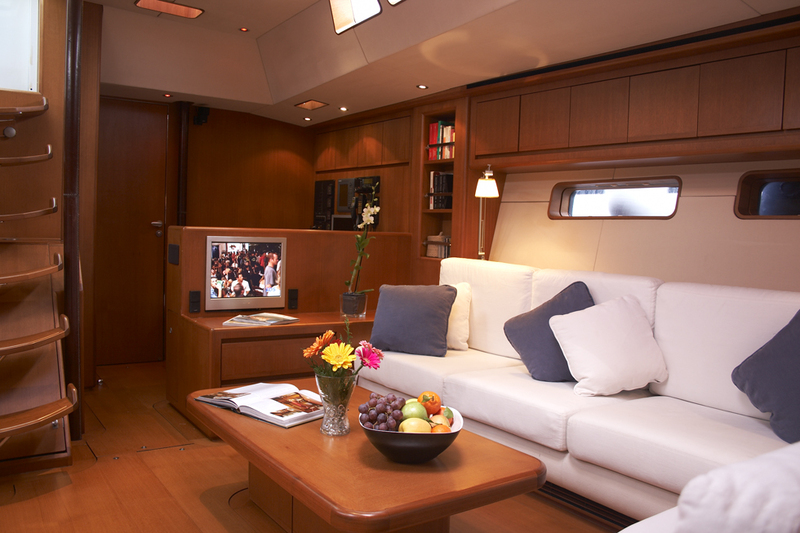 The salon is open and spacious with a cool, modern decor. 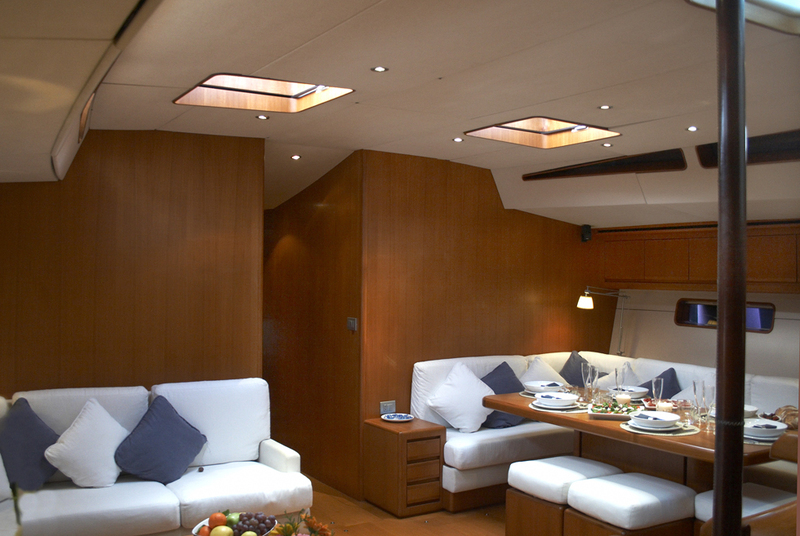 The large windows on the superyacht provide plenty of natural light complimenting the teak wood and natural tones. 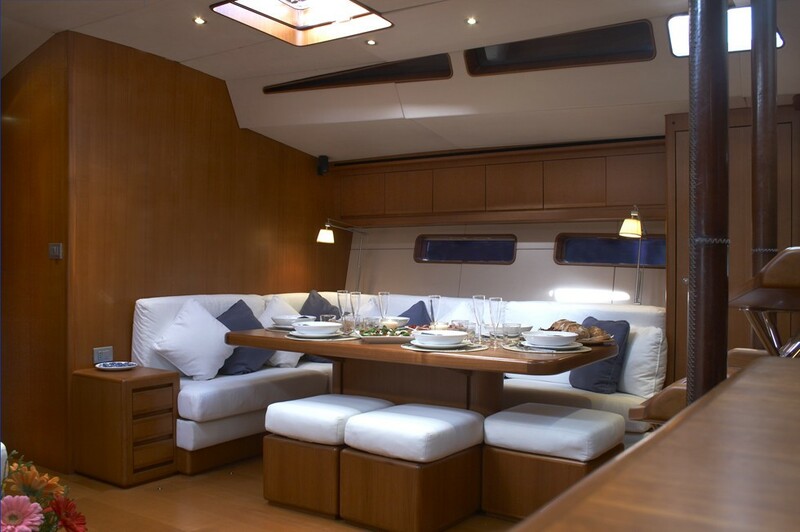 The salon is equipped with a lounge, a dining table for up to 10 and a sofa with coffee table. 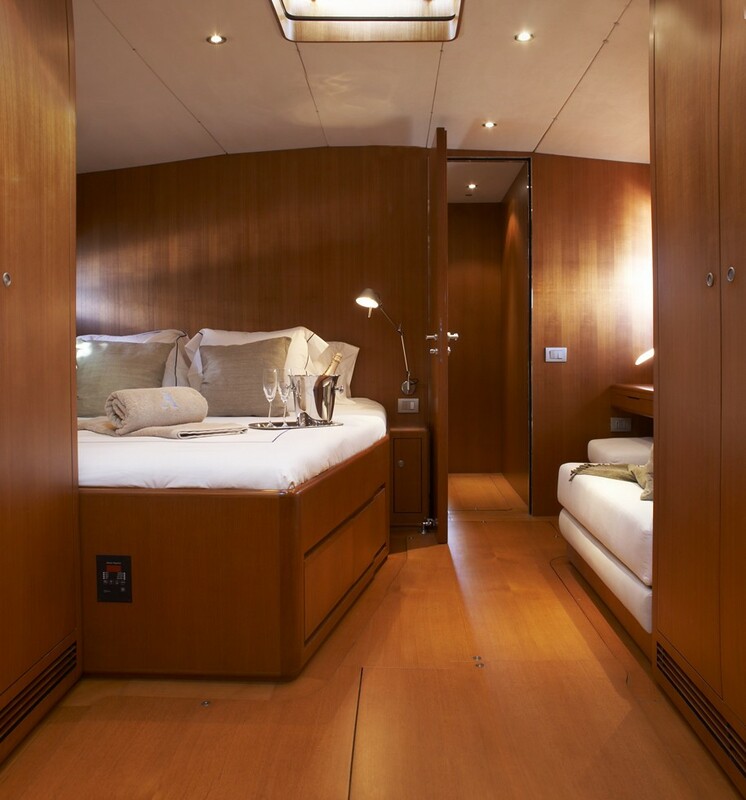 The Balearics Sailing Yacht SEJAA comes with three professional crew to pamper 6 guests who can be accommodated in three comfortable cabins all with ensuite bathrooms. 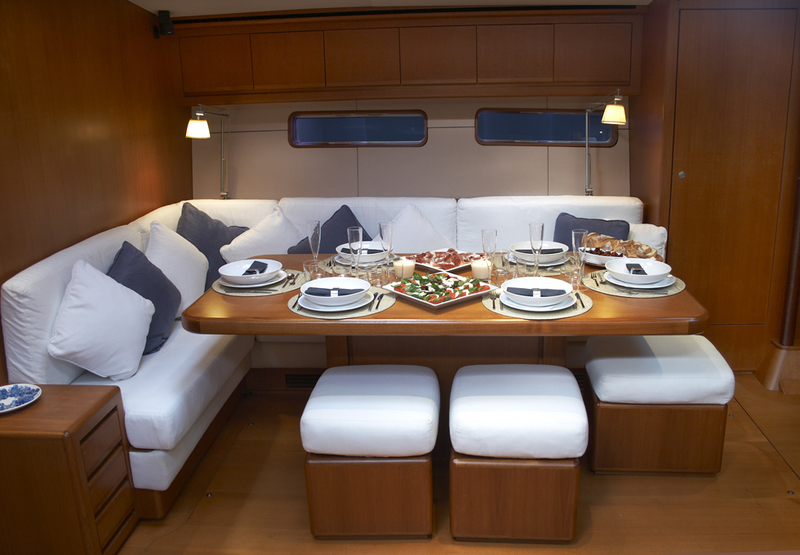 Sailing Yacht SEJAA offers accommodation for 6-8 guests in 3 cabins. 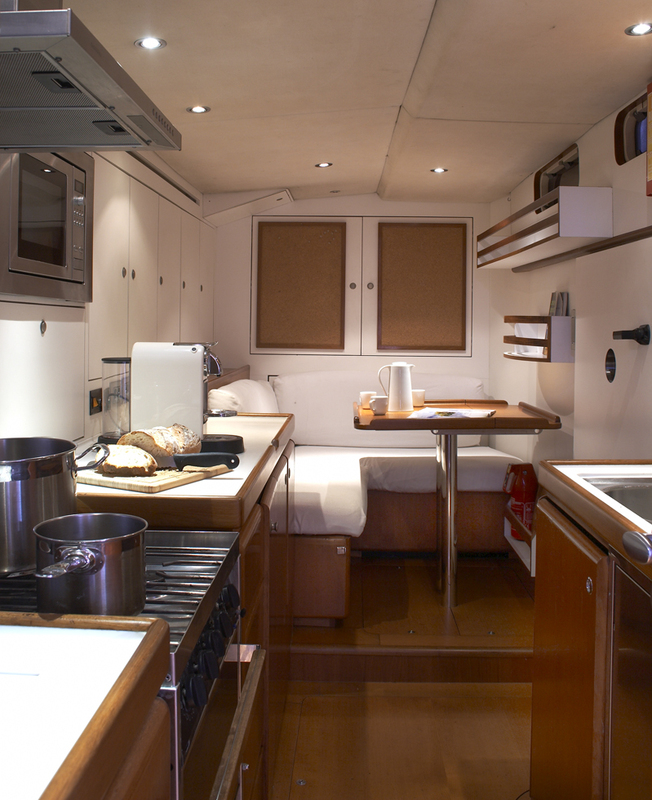 The full width master cabin is located forward and includes a double bed and a sofa plus a small writing desk or vanity. 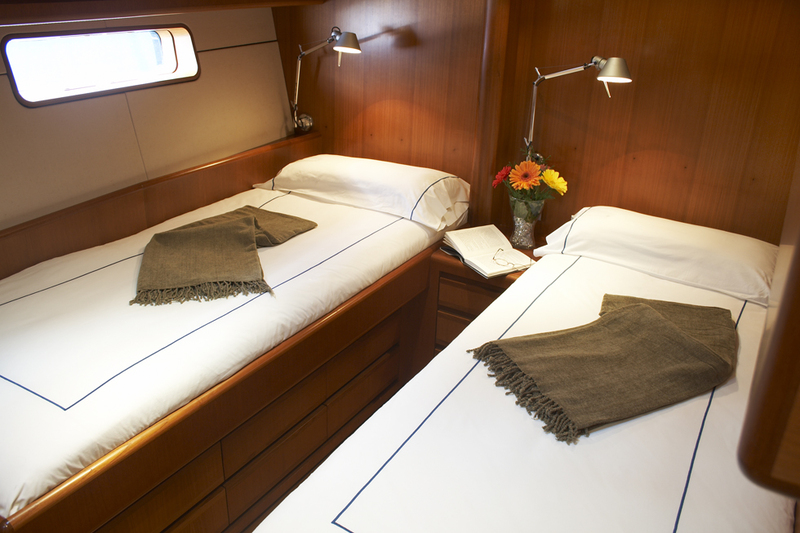 The two twin cabins are identical and include two single beds each. 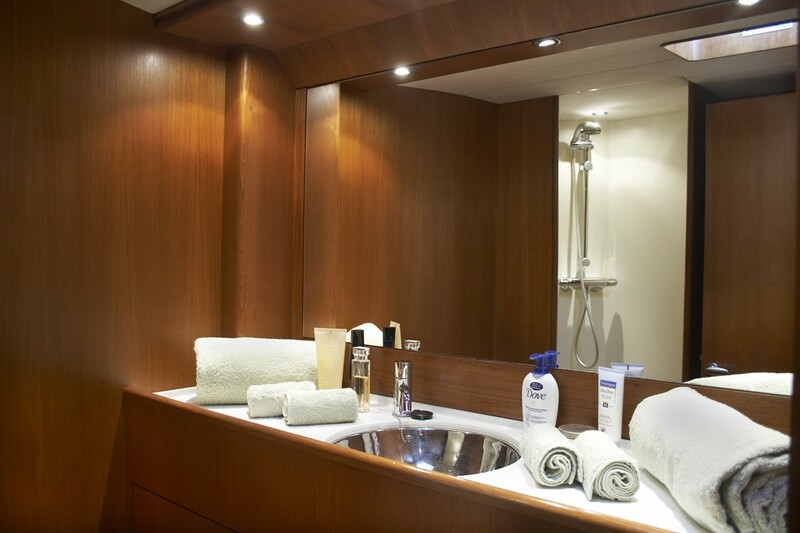 All cabins are equipped with an ensuite bathroom. 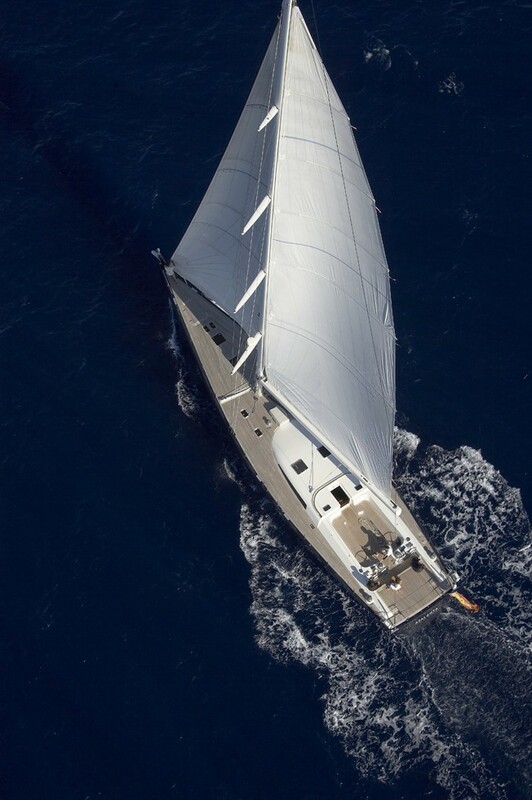 Crewed Sailing Yacht SEJAA which charters in the Mediterranean and the Caribbean has a 13' SC, 50hp outboard water skis, slalom skis, wakeboard, donuts, tube x 2, Stand-up paddleboard, snorkel equip, fishing gear, Audio Visual Equipment onboard includes a Sharp flat screen TV, Bose surround system, Bose DVD, Bose lifestyle music system, I POD and docking station in Saloon.